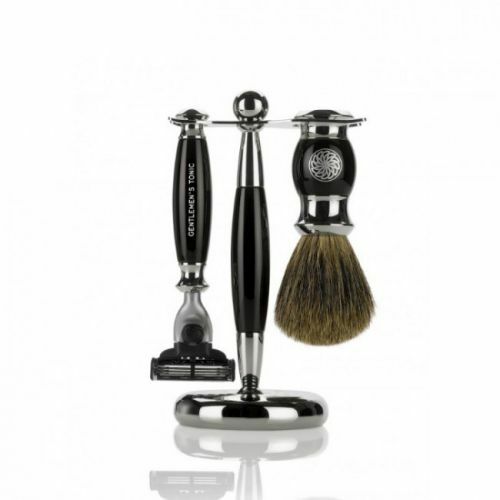 Gentlemen's Tonic Mayfair Shaving Set - Chrome, is a super-stylish addition to any man's shaving paraphernalia. This shave brush, razor handle and stand make an almost ornamental feature for the bathroom. 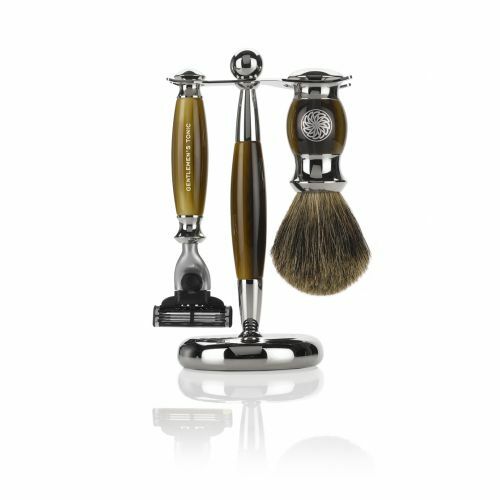 Hand-crafted using the finest components, this shaving set represents the height of luxury. Gentlemen's Tonic Mayfair Shaving Set is the perfect gift for the man who has everything. Hand made. Do not use your shave brush with shave oil. Oils cause the badger hairs to stick together. Allow both items to drain properly in between uses. Keep your shave brush dry when not in use.